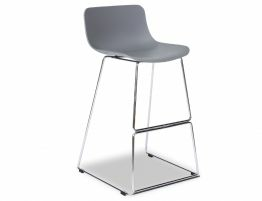 It's the most elated feeling when you find exactly what you are looking for... and that is the feeling you will get when you see these modern sleek designer stools sitting in your stylish modern kitchen. 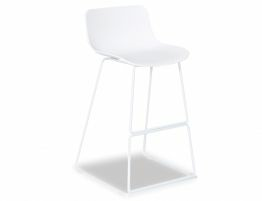 The Umbria Kitchen Bar Stool in white is a clean well stated piece of designer furniture suitable for the most swanky of interiors. Easy to clean the poly seat in the concave shape for comfort and style is built to last and handle a numerous amount of dining occasions and entertainment. 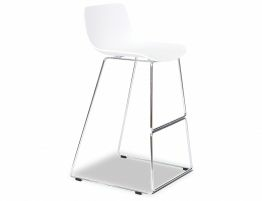 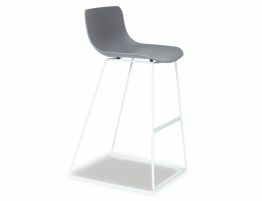 The white frame is sturdy and well thought out with a minimal effect on the overall size of the Umbria Stool. 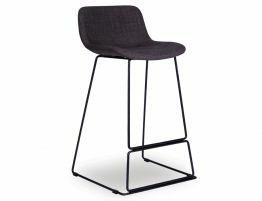 In a row along your designer bar or situated around your kitchen bench the Umbria Kitchen Bar Stool with its modern flare is a valuable choice.